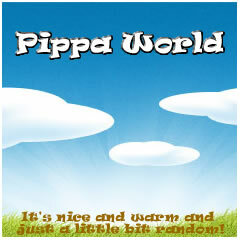 Pippa World: Do you ever not feel like you? Do you ever not feel like you? I don't feel like me today. I feel like the lonely insecure little girl that I used to be, the one I thought I had left behind. I don't want to play any more, I just want to curl up in a little ball and disappear. I don't like the hand that I've been dealt, I'm pretty sure it's been tampered with. I don't like the rules that someone else has made, they put me at a disadvantage. I'm sure it's just the stress and heat getting to me and that tomorrow after a sleep I'll be better. I'm sure that in time, I'll look back and laugh that I felt this way forgetting how bad I felt. It's just that for now and today I don't feel like me. Maybe, you don't feel like you because you're learning - and learning changes a person. Hugs! Thanks Jenny, that's a very valid point! People Of Britain Hear My Words!